We congratulate you! They actually managed to land in our e-cigarette shop for eCig, e-liquids and everything else you would need as a "Vaper". 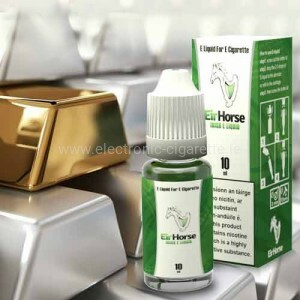 Why this is a reason to congratulate and electronic-cigarette.ie is the right choice for your e-cigarette shopping, we explain towards the bottom of this page. Before that, however, we want to devote ourselves to our great passion - the vaping - and bring them closer to you. In an electronic cigarette, unlike a tobacco cigarette, no tobacco or other herbal substances are burned. Instead, a special liquid - just the e-liquid - heated so that it evaporates. This is a not so complicated set-up needed. An electric cigarette consists only of a rechargeable battery, a heating coil, a mouthpiece and a tank or other depot, which is filled with the liquid. The liquid, which consists of a mixture of propylene glycol, glycerine, water, flavors and possibly nicotine, is absorbed by a cotton caddy, which is located around a metal spiral. Spiral and cotton together form the heating coil. The liquid is thus in the heating coil, this is heated and evaporates the liquid in the cotton wool. The resulting aerosol is then inhaled. E-Cigarette and Health: What do you inhale? Since no combustion process of tobacco or other plants takes place when using an e-cigarette, there is no smoke, but steam. For this reason, consumers of the e-cigarette call themselves "steamer" and not smoker. According to the current state of research, the devices are considered the far less harmful alternative to tobacco products. With a tobacco cigarette, consumers inhale about 250 toxic substances, 90 of which are carcinogenic (carcinogenic). In the liquid of the electronic counter these are not included. Instead, the device runs on propylene glycol, glycerine and flavors, ie substances that have been used for years or even decades in a wide variety of foods and cosmetics. For example, it is also possible to mix completely normal, commercially available food flavorings into the liquid if you like to mix the liquid yourself. The short-term consequences, on the other hand, are clear to anyone who has switched from smoking to vaping. As if the nicotine consumption had been given up, one smells and tastes better, the condition improves, the skin becomes healthier, and so on. The variety of products that have to do with electronic vaporizing is very impressive. For every situation and every preference there is the right set-up and accessories. For big or small clouds, much or little nicotine, strong vapor sensation or less, direct pull on lung or cigarettes-like mouth to lung vaping - anything possible if you only know which device is the most suitable for it. If you are just beginning to learn about an area, you may not want to get familiar with the most complicated contexts. If somebody has never come in contact with a computer, he will not even get the idea to build a copy of it on his own. This is the case with e-cigarettes. 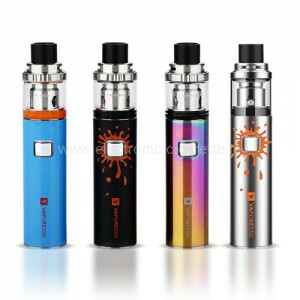 At the beginning you want a simple device that does not provide any great adjustment options, but just steams and possibly covers the nicotine needs. For many, it stays that way. For the beginner devices were developed so synonymous in the first place. In addition to the starter kits, there are countless ways you can put together your beloved, steaming toy. The battery carriers, for example, come in two main forms: on the one hand round and pin-shaped or cuboid, the so-called sticks / tubes or the box mods. 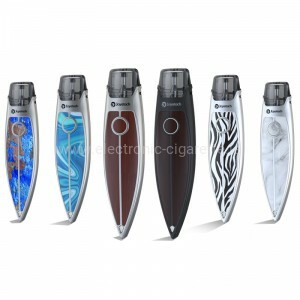 As a rule of thumb, the box mods are usually more powerful and thus more likely to belong to the professional products. The battery carriers are available with different power profiles. Some operate only in one mode, and some offer a variety of settings that allow you to variably set the wattage or temperature, for example. In addition, there are different sizes in which either built-in batteries contain only a single or multiple batteries are used interchangeably. The next component is the Clearomizer. 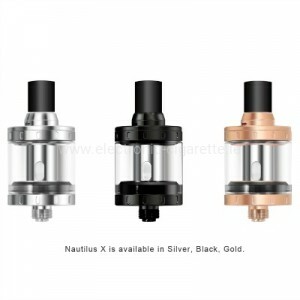 It is the most complex and variable part of the electronic cigarette and usually consists of a base, a tank glass, the coil head, a top cap and a mouthpiece. Depending on the model, these items are designed differently. With some evaporators one can disassemble all parts, with some one can unscrew only the Top Cap. If you just start with the vaping, the required accessories are rather limited. Everything you need is actually included. But sometimes that is too little of the steam experience and they falter. One might like to wrap the heating coil itself, or mix the e-liquid itself. 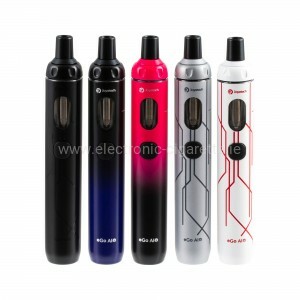 There are a variety of specially developed tools, which of course is also available in our e-cigarette shop. The fuel of the e cigarette you have at least a feeling of a choice that would be stacked from soil to Mars rich. In the e-liquid shops alone, the various colorful vials fill entire shelves. Finding the absolute dream liquid that perfectly meets taste, ambition and desire consistency is likely, but not very easy. Depending on the mixing ratio of propylene glycol (abbreviated PG) and glycerol (abbreviated VG) and water result in steam quantity, taste intensity, the so-called flash (feeling in the throat when the steam hits him) and the nicotine transmission. Which liquid one should choose, is also decisively dependent on the device with which one steams. If you have found a good starting point, then there is the question of the aroma. In our experience, the flavors can be roughly divided into three groups: relatively neutral or tobacco flavor, fruity and creamy. But that's really just the coarse division. A bit of browsing and tasting and you can quickly find the direction that suits you best. Much has happened since the electronic cigarette began its triumphal procession with consumers. There were and are political debates about the e-cigarette and even the tobacco companies were afraid of the far less harmful alternative to the commercial, burning tobacco products. Meanwhile, various tobacco companies but also bring their own devices for "Harm Reduction", ie the reduction of risk on the market. 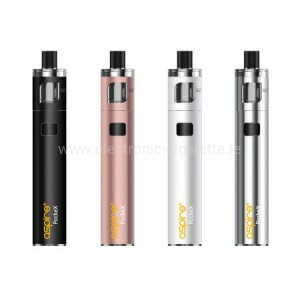 But still many people are uncertain about the e-cig and are unsettled by rumors and half-truths. 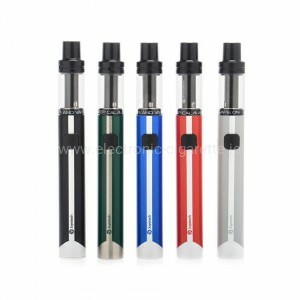 The selection of online shops for electronic cigarettes is now enormous. As for the most important argument, the price, the individual e-cigarette shops hardly differ anymore. Once the liquid is cheaper, then the e-cigarette itself costs a little more. The price alone does not make the potential "onliner" of trust for the eCig. 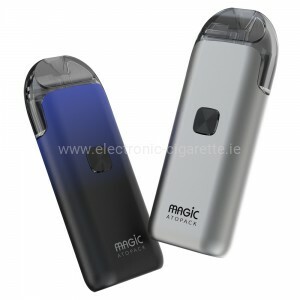 So why should you, as a customer, opt for electrronic-cigarette.ie as your first contact point? 1. Rarely seen quality standards. 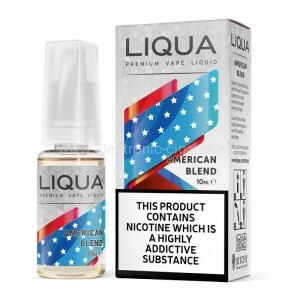 As experts in our field, we at our Vaping Shop know that the quality of the products, apart from the price, is an essential factor when buying electronic cigarettes. In our product range, we pay attention to this quality, which is above all demanded by the customer. 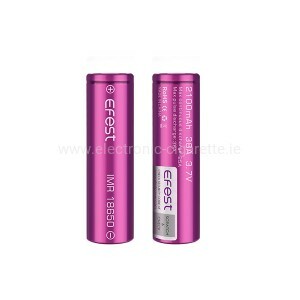 You will find products of well-known manufacturers such as Joyetech, Eleaf, SMOK, LIQUA or EirHorse Liquid from Irish production. In our e-shop, all products are awarded the valid final price including VAT (without shipping costs). We keep an eye on all popular prices at all times and are therefore at the forefront when it comes to making good deals for you. In addition, we also offer less known, but still high-quality products and special offers. 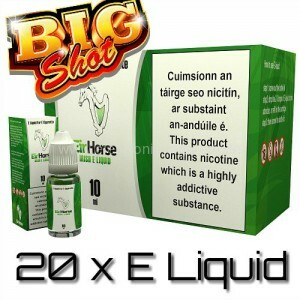 With a minimum order value of just 12.99, - electronic-cigarette.ie delivers free shipping within Ireland to you via Post.ie. Of course, your personal information is in good hands with us and we only use it for your orders. We comply with the currently binding online security measures that came into force through the GDPR. You can pay us via PayPal, credit card. So you are spoiled for choice and you are not tied to any means of payment. 5: Customer Service and Support: Problem occurred? We help! Our most important product is our service. Only satisfied customers will decide once again to shop in the same store. For this reason, we offer you the opportunity to get in contact with us quickly. For this you have an e-mail support, a live support and of course a telephone line available, under which you can reach us during our business hours. Whether you just want to know about vaping or have a problem with your order, we'll do our best to answer your questions or quickly and easily resolve a problem that has surfaced. Openness, transparency and a perfect relationship with our customers are important to us. Therefore, we decided early on to give you the opportunity to rate our online e-cigarette shop and our customer service. In addition, we are always happy to receive feedback.